Good morning! Time to pour yourself a hot cuppa’ and check out today’s writing opportunities. 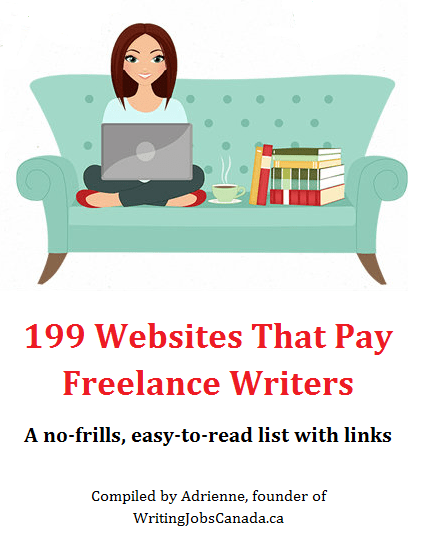 Along with remote/work-from-home writing jobs and full-time positions, today’s list also has a little something for writers of creative nonfiction. If you’d like my daily list of writing job leads and calls for submissions delivered right to your inbox, just follow using the link in the footer. Those looking to hire a writer or with a call for submissions to share can submit a free add here. Got a book or product that writers would love? Get in touch for a review. 2018 CBC Nonfiction Prize – Submit your original, unpublished works of nonfiction between 1200 and 1800 words. WHEN: The competition is open for submissions from Jan. 1 to Feb. 28, 2018. WHAT YOU CAN WRITE: You can submit memoir, biography, humour writing, essay (including personal essay), travel writing and feature articles between 1200 and 1800 words. 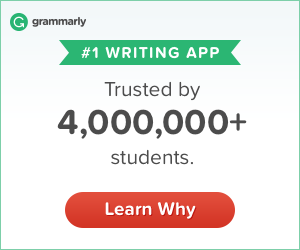 Writer’s Digest – Writer’s Digest, the No. 1 magazine for writers, celebrates the writing life and what it means to be a writer in today’s publishing environment. Through the voices of bestselling authors, buzz-worthy newcomers and seasoned editors, we offer everything writers need to stay inspired, to improve their craft, to understand the unique challenges of publishing today and to get their work noticed. Our pages are filled with advice and real-life experiences that go beyond the ordinary and delve deeply into what’s important to writers today. Whether they write fiction or nonfiction, poetry or essays, articles or scripts, our readers will walk away from every issue inspired and ready to write, satisfied in the knowledge that we get it, that we all share this passion for writing, and we’re all part of a grand literary tradition. And that’s worth celebrating. Find a more thorough description of our editorial mission here. Founded in 1920, such classic literary icons as Joan Didion, Ray Bradbury, Jack Kerouac, Truman Capote, H.G. Wells, Margaret Atwood, Maya Angelou and more have shared their thoughts on different aspects of the writing life through the pages of Writer’s Digest. We’re an instructive magazine that seeks to keep readers abreast of industry trends, of the latest writers who found success and what they did to achieve it, and of innovative ways to improve and empower the inner raconteur of our readers. Our style is confident and authoritative, yet conversational. Our voice is that of an insider—your trusted friend in the business. Keeping informed on industry trends is essential to our readers’ success, so it’s essential for our editorial to address timely issues in publishing, and look forward to the future of writing in its myriad forms. Our goal is to provide readers with the inspiration, how-to instruction and culturally relevant information they need to fulfill their writing goals and be a part of the larger community of writers. Writer’s Digest is published eight times per year, and has a circulation of 77,000 subscribers, with 15.7 million annual unique users on WritersDigest.com and a Twitter following of more than 700,000. Our readers include men and women of all ages and varying levels of writing skill and success. We have a worldwide readership, but the majority of our readers live in the U.S. and Canada. To obtain sample issues of Writer’s Digest, you can purchase copies via the newsstand or http://www.writersdigestshop.com. An index of each year’s contents is available at http://www.writersdigest.com. We consider completed manuscripts on spec, as well as original pitches. A query should include a thorough outline that introduces your article proposal and highlights each of the points you intend to make. Your query should discuss how the article will benefit our readers, why the topic is timely and why you’re the appropriate writer to discuss the topic. Find more tips for crafting the perfect pitch here. Although we welcome the work of new writers, we believe the established writer can better instruct our reader. Please include your publishing credentials related to your topic with your submission, along with a brief bio. Send email queries to our Acquisitions Editor at wdsubmissions@fwmedia.com. Please do not send attachments. If you have clips available online, please include links. Accepted freelance articles must be submitted in electronic form, in text-only or Microsoft Word. We expect writers to thoroughly check all facts in their stories and to submit documentation to support the information included in their stories. Because we receive hundreds of queries a month, please allow 2–4 months for a response. Each submission must include your name, address, daytime telephone number and email address. We don’t accept or respond to queries via snail mail, phone or fax. We don’t buy newspaper clippings. We don’t buy reprints of articles previously published in other writing magazines. WD Interviews (our signature cover Q&A series) are almost always written in house. If you’d like to pitch an interview with a well-known author, we request that you get approval from the subject prior to your pitch. In today’s media environment, an article doesn’t just appear in print, but can become an interview on our podcast, a YouTube video, an extended blog post or a prompt for Facebook discussion. While it’s not required, writers who can cite supplemental ways in which their article might take shape in digital form will be given special consideration.